Visitors from the southern California this past Sunday included Pastor Phil Waters. 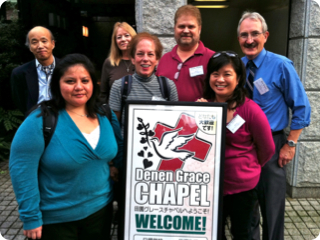 As many know, Phil is an important part of Denen Grace Chapel's history. 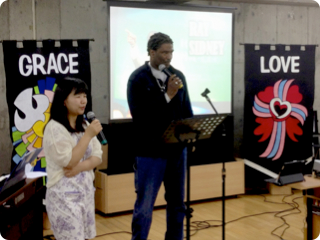 Phil was involved in church planting here in Japan for many years before needing to return to the States because of his wife, Sharon's, health needs. 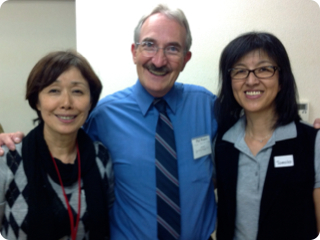 Resettling in California he continued in Japanese ministry and church planting work with Mission Door. 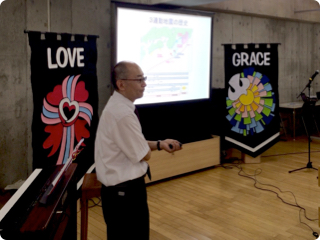 Three Japanese wives living in the area became a part of this church work. 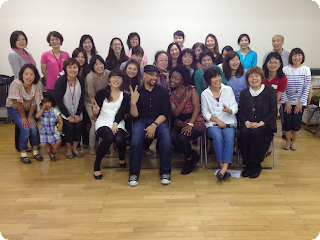 When the ladies returned to Japan with their families, they continued to gather regularly for Bible study and fellowship and reach out to other ladies with similar overseas experiences. Several years later these ladies would become the core of a new church work in Kawasaki, our own Denen Grace Chapel, under missionaries Kevin and Kaori Laverman. 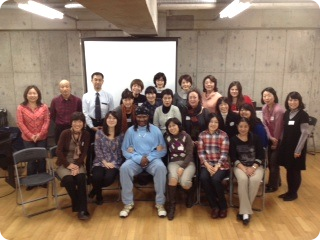 This past Sunday at Denen was a kind of reunion for many that had known Pastor Phil while in the States. He gave a great message (click here) on faithful and unfaithful servanthood. Phil brought a team of seventeen people from the States to volunteer in relief work in Miyako and Taro in Iwate-ken. Five of them joined us for our worship service. Thank you, Phil, for your love for Japan and Japanese people and your continued impact in the life of our church. 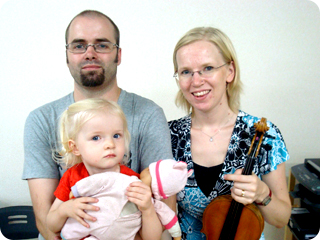 Dave and Heidi (& Kira) Skipper, Japan Baptist Fellowship missionaries, visited with us this past Sunday 9/11. 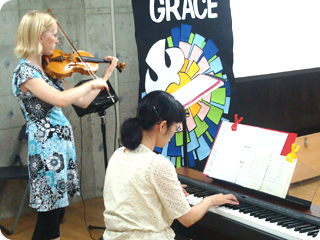 Heidi is an accomplished violinist and accompanied Kaori Laverman during our morning service. The duet of piano and violin contributed greatly to the beauty and depth of our worship time. We were also blessed by the special number she play, a Bach Partita. Heidi is also helping get kids gospel music choirs started together with help from Ken Taylor. After the service Dave introduced his own music talent. Electronic and digital sounds put together for a genre known as "noise". His music ability is a strong counterpart to Heidi's classic style, but none the less amazing in its own richness and emotional movement. He is playing in a number of venues in Tokyo. If you are interested in getting to know more about the Skippers' work in Japan, drop them an email sometime here.